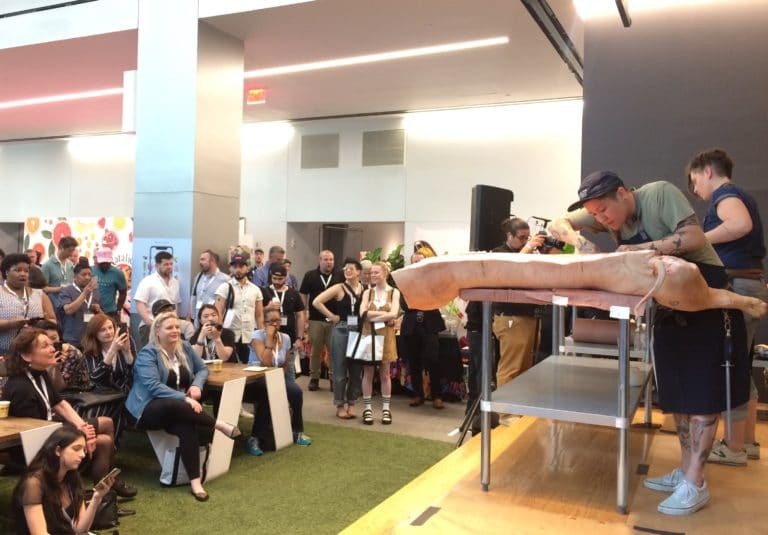 It took four people to lug the 250 pound Joyce Farms heritage pig carcass onto the stage, but only two rockstar butchers by the names of Jocelyn Guest and Erika Nakamura to butcher it down. 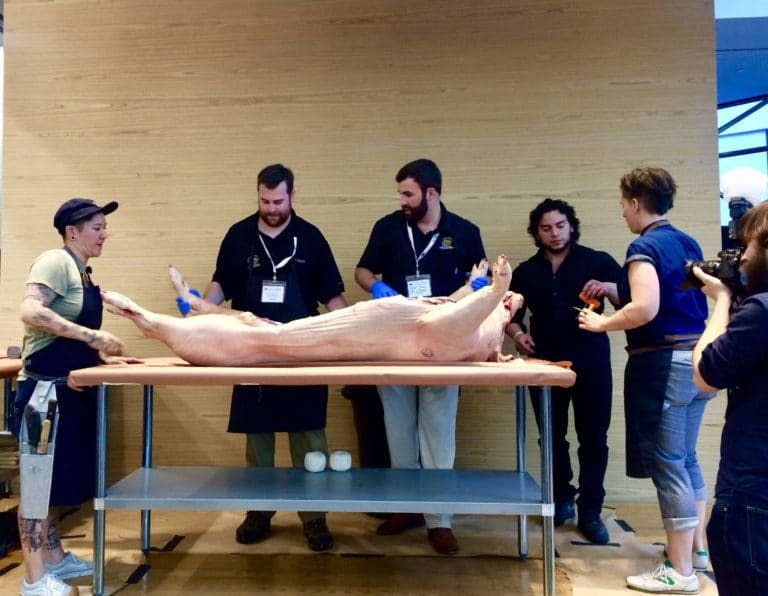 It was truly an experience I’ll never forget, as I got the chance to watch these two ladies methodically slice, saw and break down a hog in front of a live audience at this year’s Baldor Bite. Mesmerized and amazed by their skills, I knew that I just had to talk to these two and find out more about their journey into this male-dominated corner of the culinary world, as I pursue my quest for feminist food. Although my initial focus was on their power as women in the industry, during a phone interview, Erika and Jocelyn painted a larger picture of how they’d like to change the industry for everyone by speaking out against negative kitchen culture in general. 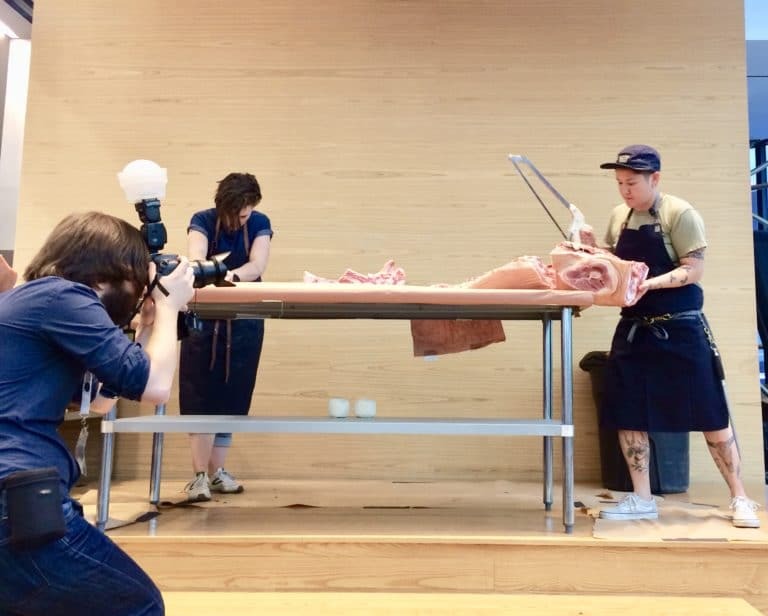 After discovering her newfound passion for butchering, Erika left the kitchen to apprentice at the famous Fleisher’s in New York as one of the first to join its apprentice program. 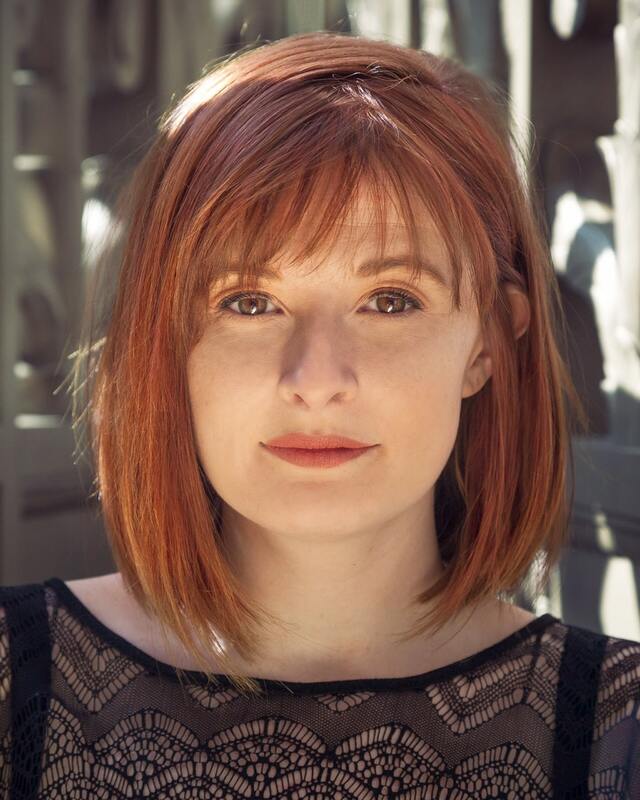 Eventually, she went on to open her own place in Los Angeles, Lindy and Grundy, a female-run, high-end butcher shop that garnered quite a bit of media attention. Lindy and Grundy quickly became a sort of feminine-butcher haven or as Jocelyn put it, “a little island in the midst of it all.” The type of island these women created for themselves was, and still is, unique in the industry. If you were to close your eyes and imagine what a butcher looks like, you’d probably come up with an image of a burley, rough-around-the-edges kind of guy holding a giant meat cleaver, and hanging out in a blood splattered walk-in. But these two explained to me that while these types of butchers do exist, there’s much more involved in the process, with plenty of opportunity for a smaller-framed person to achieve the same results. 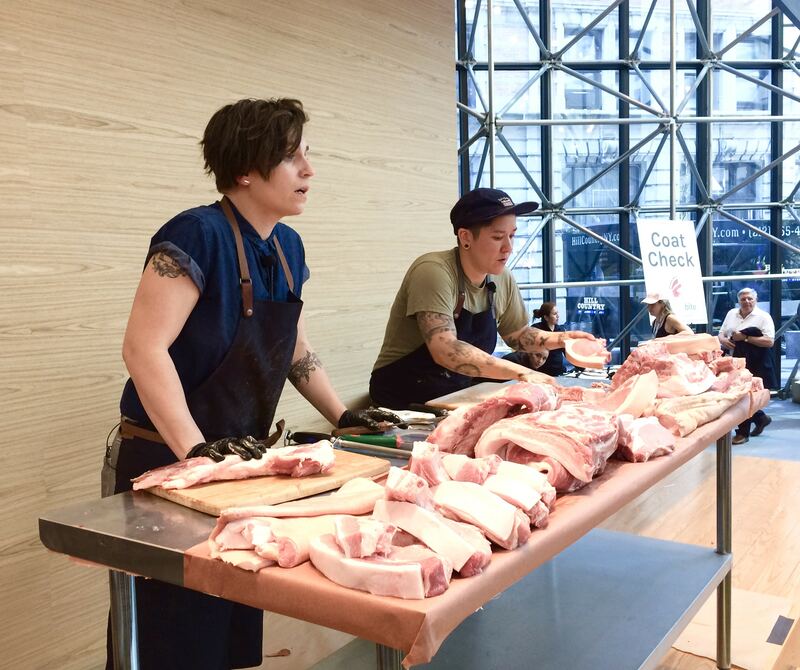 As their most recent venture, Jocelyn and Erika partnered up with celebrity chef April Bloomfield to open a butcher shop in the Upper West Side, White Gold, in 2016. The two spoke fondly about the experience, describing how great it was to create their own kitchen culture and strong family vibe among employees. Unfortunately, due to some unforeseen circumstances, they decided to separate themselves from the business this past March, and White Gold ended up closing last month.